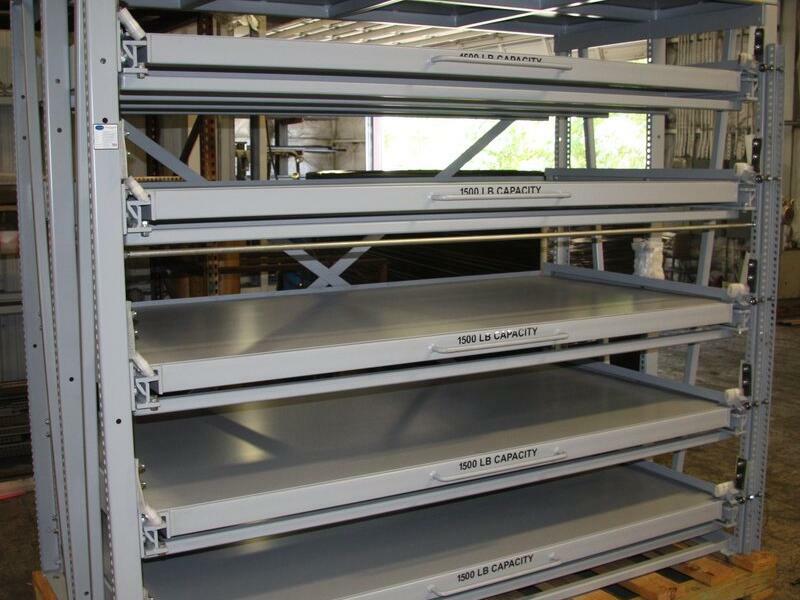 Industrial roll-out shelving racks provide storage options for raw materials like round and square ingots. This rack provides 1,500 lb. 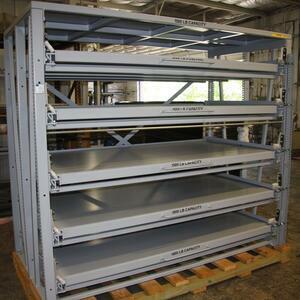 capacity shelves 72" wide x 36" deep with a 1,500 lb. reinforced top.